THANK YOU to everyone who came out to Ines' book release party! We are very excited to release a new chapbook into the world! The Pink Light by Ines Falco is a beautiful lil book of poems with a lovely cover designed by Patrick Keck. 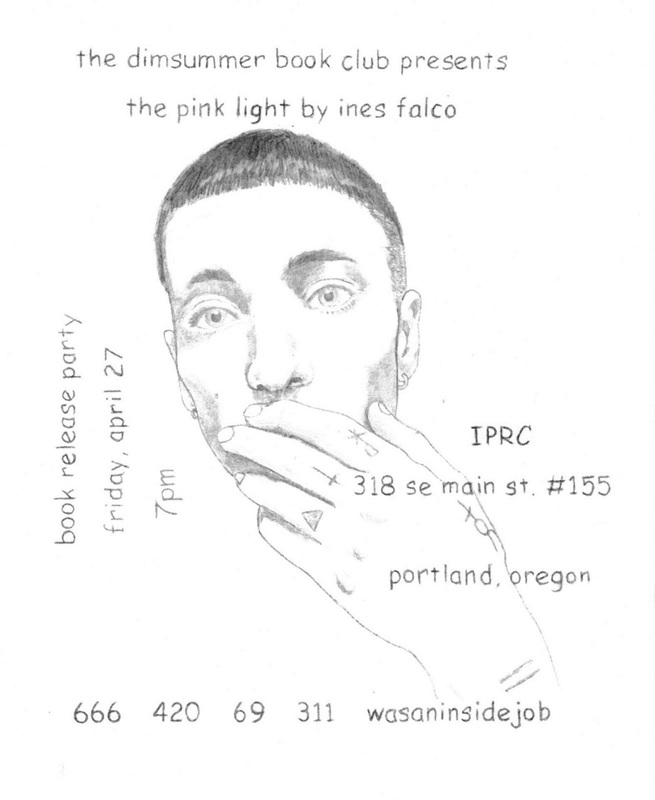 We are celebrating the release on Friday, April 27, 7pm at the Independent Publishing Resource Center in Portland, OR. Hosted by Rob Gray with performances by manuel arturo abreu, Olivia Olivia, and Ines Falco. dimsummer book club. Simple theme. Powered by Blogger.